The concept behind this book is that all of the projects are about 99% seed beads, however there are only three projects that are 100% seed beads and two of those are the patterns I’ve contributed. 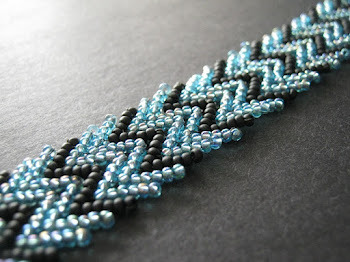 It is a super easy pattern to follow and requires absolutely nothing but seed beads in one size. 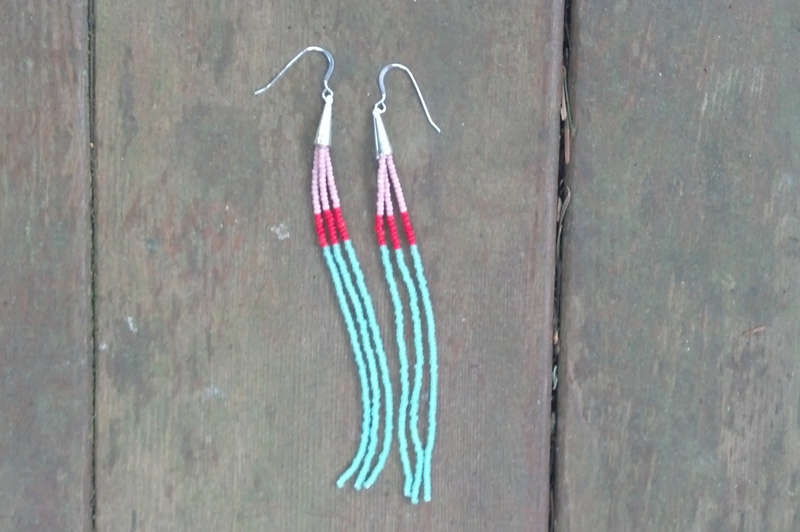 I found some seed beads in lovely colors last week, and made another pair of beaded tassel earrings. To make them more like this pair, use bead cones at the top.). I had entered plenty of giveaways, but never won, so last week I was shocked to find out I’d won Honey Kennedy’s giveaway of three Colette Patterns. An asymmetrical necklace I spotted on Pinterest, tribal colors and patterns, and some very ordinary wooden macramé beads. I wanted to make something with a very simple, asymmetrical construction, so when I looked again at the beads in my destash selection . How to make seed bead patterns for making beaded jewelry; get expert tips and advice on homemade jewelry making techniques in this free instructional video series.